Play the Barcrest Cashino Free Slot Pokies Game on our site. Welcome to Cashino! This game is a well designed video pokie from Barcrest that can offer decent payouts and is also available as a free play game on our site. This game is based on a Vegas theme and players will see some well known casino games used as icons. The game is easy to play and is a low to mid variance slot machine, so players can expect frequent wins, even if they are not the largest pokie hits you will ever get. With Cashino, there are 20 paylines of action and many betting options, so the game can be enjoyed by every player online. Though there are no superb game features, it is a good game for those seeking a standard video slot, play Cashino FREE right below. The game does not make use of any stellar graphics and the symbols are pretty basic. Players will see various casino games used as icons along with the game logo and some standard playing card icons. The colours are bright and attractive, but the lack of animations can make the game quite boring after time. The overall appeal of the game is decent, though there are many other pokies that will offer intense graphics and animations that may appeal to more players. As a 20 payline game, Cashino is an affordable choice and the minimum bet is just $0.01 per payline. This can be increased to $25 per line, making the maximum bet per spin worth $500. With these betting options, low, mid and some high rollers will be drawn to the game. The top payout in the base game awards 10,000x the bet amount, so there are some decent rewards that can be collected. There is no progressive jackpot offered. There are some great game features that are offered with Cashino, including the Roulette bonus. This is triggered by getting three roulette symbols on the reels in any position. When this happens, the Roulette Wheel Bonus is triggered and players will spin the wheel to reveal an instant credit win. The Cashino Card bonus is triggered with three Card symbols anywhere on the reels. Players will then select a card and the payout will be based on the card revealed and the wager that has been placed. This bonus can award as much as 500x the bet amount. Getting three dice on reels 2, 3 and 4 will start the free spin round. Players will select a symbol to reveal the number of free spins won. 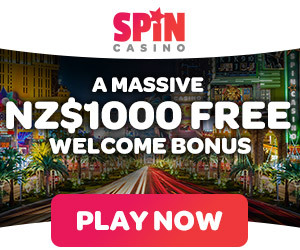 The feature can be retriggered and offers a maximum of 999 free spins. Cashino slots may appear to be a boring game due to the basic graphics, but with three different bonus features, some massive payouts can be collected. If players can look past the game symbols and display, they will find this game to be one of the more rewarding pokies offered. Cashino is a game that will suit the needs of any real money player and with great betting options and some impressive wins available, the game has now become a hit in online casinos, so if you can’t make it to your local Aussie pokies club you can play it here free with no downloads of Barcrest fruit machine software required.